The ABS-16 series absolute encoder is used for all DHT and DST series servo motors. 16-bit [65,536ppr] resolution and ultra-fast proprietary serial update to servo drive. 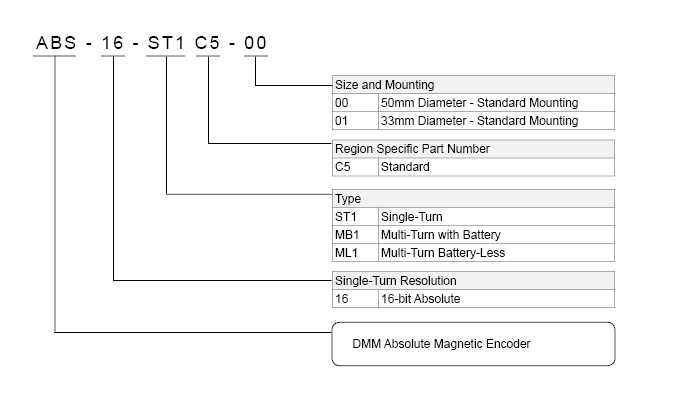 The ABS-16 encoder is suitable for OEM applications. Available as Single or Multi-Turn type. Please Contact Us for specification and protocol manual.